The LG Watch Urbane remains one of the first truly premium smartwatches on the market. While LG initially positioned it as a sequel to the LG G Watch R, the Urban has shown itself to be a fairly reliable, smart timepiece in addition to looking chic. Not only does the wearable provide a nicely sized, low-powered screen, it has surprisingly long battery life. Don't let the sheen full you: the Urbane is more than just a pretty face. 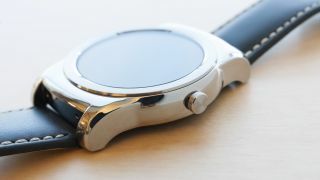 Though the Urbane didn't manager to get particularly positive reviews (most reviewers took issue with ), it has proven popular enough for LG to invest in a series of gold-plated Urbane watches. To get the most out of the Urbane, should you own one, we've gathered up 10 must-know tips. Read on! Prior to iOS 9, Apple updated its mobile operating system with a new feature that lets LG Watch Urbane users (along with other Android Wear owners) sync up their smartwatch with their Apple iPhone. This update does require users to download the iOS 8.2 or higher, and to have an iPhone 5 or newer. Using your phone's camera from a distance to get the perfect picture will require a smartphone accessory like a Bluetooth remote. However, the LG Urbane Watch can do the same thing. If you download a compatible Android Wear photo app (such as Remote Shot), you can remotely activate your phone's camera using the Urbane. Many remote phone apps also let users switch between cameras, change flash settings, set timers and even see what the camera sees. The latest Android has simplified the news and notification system so users can access all of their new information with a single update on their LG Urbane. If a user wants to view all of their notifications, they can swipe left on the screen to scroll through them. Android Wear has made it significantly easier to respond to emails via the Urbane's watch face. That's because Android Wear now displays emails as cards, or small boxes of subtext that present essential information (such as weather and traffic). If you want to view an email and quickly respond, you can open the email via the Android Wear app, then reply to it with just a few swift motions. The Google voice option also allows users to email friends by telling the watch to "Email [Contact's name]." This will pull up a speech bubble that will transcribe your message and email it to your subject directly from your smartwatch. However, if you need to respond to a particular message, you can swipe right to left on the email in question to pull out the "Reply" tab. If you tap the "Reply" button, you'll receive the options of either picking a pre-written response or letting the watch transcribe your spoken response. Do you feel the sudden need to consume Italian cuisine? The Eat24 Android app simplifies the process, getting grub to your door fast. Eat24 lets you use a few simple commands to re-order food from your favorite vendor. The process does require you to enter orders in via your phone before you can use it. But once you've done that, having your favorite pizza delivered from Domino's will be a lot easier.